Cavenaugh Thumperthon is in honor of Donald Cavenaugh, an avid runner and animal lover, and his long time furry running partner Thumper Cavenaugh. 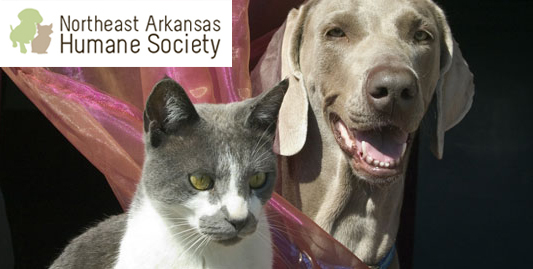 The race will benefit the NEA Humane Society. Bring your furry running partner, and run with them. This is a certified course that is flat and fast! Prizes will be awarded for both dogs and their owners. A Kids Fun Run will follow the 5K race! So, bring the whole family for a day of family fun! Runners and walkers of all levels are welcome. You can run with your 4-legged friend. Just make sure all dogs are on leashes. Bring the kids, and let them run the Kids Fun Run after the 5K. Every child 12 or younger that participates in the Fun Run will get a winners medal. As we all know, taking care of abandoned and abused animals is both expensive and time consuming. We hope to help the NEA Humane Society offset some of those expenses. The Humane Society will bring animals for adoption that day. Who knows? You might find your next great running partner and a wonderful new addition to your family! Join us in Walnut Ridge for a morning of family fun! !